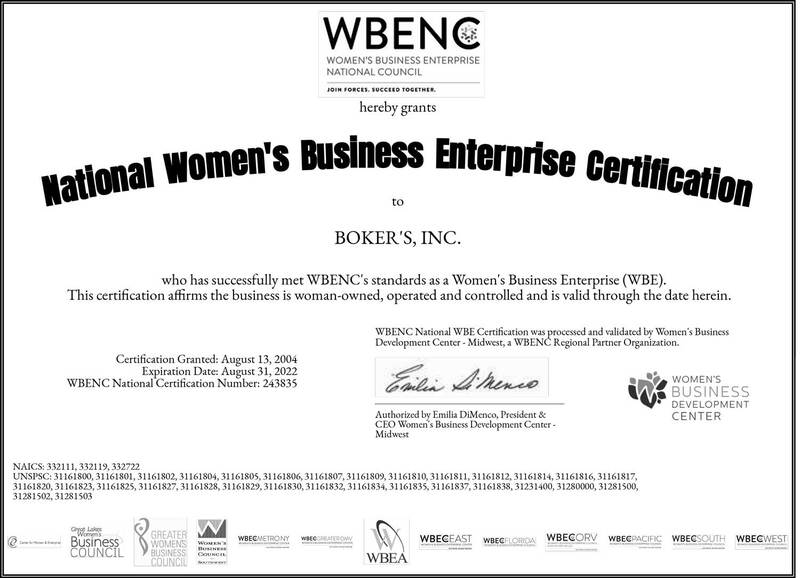 Cup Washers | Boker's, Inc.
Boker’s is a stamping manufacturer of cupped washers. A cup washer is a type of spring washer formed with a semispherical shaped bottom and/or beveled edge. Used for a large variety of applications including centering washers, spring retainers, assembly housings, locators, spacers to reduce material usage, end caps, anti-tampering protection for fasteners, and as a substitute for larger heavier washers as the designed shape allows for high load bearing capacity and a low deflection. 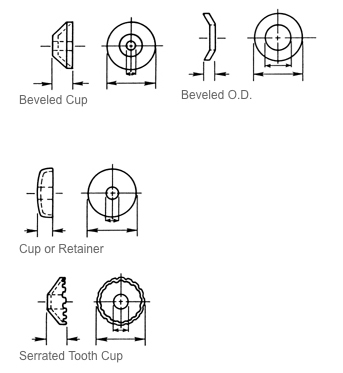 Cupped washers are also referred to as beveled, terminal washers, flanged cup washers, and retainer washers. To obtain a quote for cup washers please fill out our fast quote form.